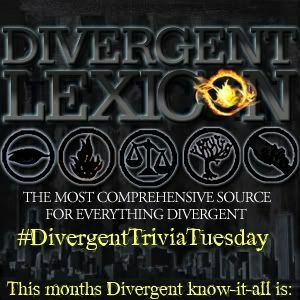 The most comprehensive source for everything DIVERGENT. Traveling on the Train with Tris. He has a spare upper lip, and a full lower lip. His eyes are so deep-set that his eyelashes touch the skin under his eyebrows, and they are dark blue, a dreaming sleeping, waiting color. His voice is deep, and it rumbles. He smirks. He has a stillness about him. He appears tame from the front, by Dauntless standards, but there is a tattoo that peeks out from the back of his t-shirt. His fingers are so long that, the heel of his hand touches one side of Tris’s ribcage, and his fingertips still touch the other side. He is quiet, remarkably self-possessed, and intimidating. 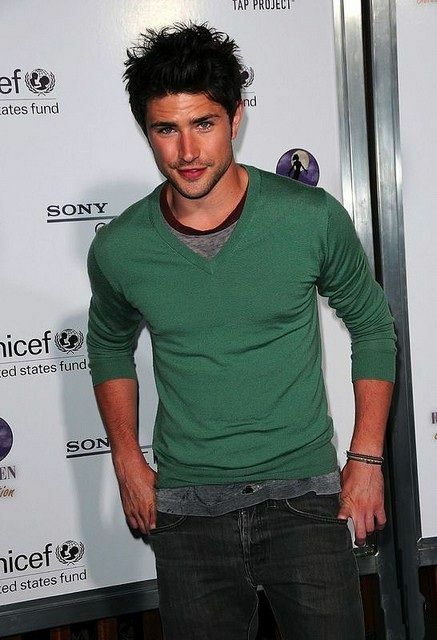 He has a faint hollow beneath his cheekbone and taut, defined forearms. His voice is low and smooth and almost soothing. The corners of his mouth turn down naturally and he has a scar on his chin. Even when he glares, his eyes look thoughtful. Their shade of blue is peculiar, so dark it is almost black, with a small patch of lighter blue on the left iris, right next to the corner of his eye. He is muscular, nothing on his body yields. His hair is dark, almost black, especially when he cuts it short. Join us for our Character Close-Up of Tobias (Four) in February! Get Divergent Gift Cards Here! 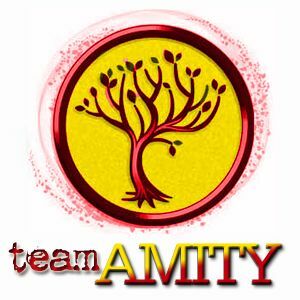 Grab the #TeamAmity code Here! Sign up to affiliate with us here. I use DIVERGENT lexicon all the time. Get Your Linky Codes Here!